Have a little bit of a hike from home to sand? 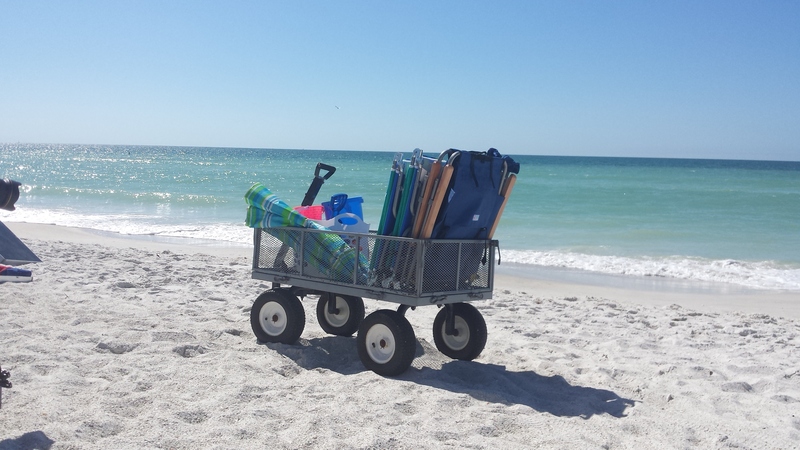 Our beach wagon has you covered! With a capability of holding up to 150 lbs you can carry all your beach supplies in one trip. Our wagons feature powder-coated; removable sides, and steel frame makes these carts durable and sturdy. Lay down and relax anywhere with our lay down chairs. Take them to the pool or the beach and enjoy your vacation.